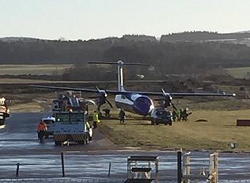 The Dash 8 began to skid sideways until it ended with all undercarriage on the grass about 2-3 meters beneath paved surface. None of the passengers or crewmembers were hurt in the event. 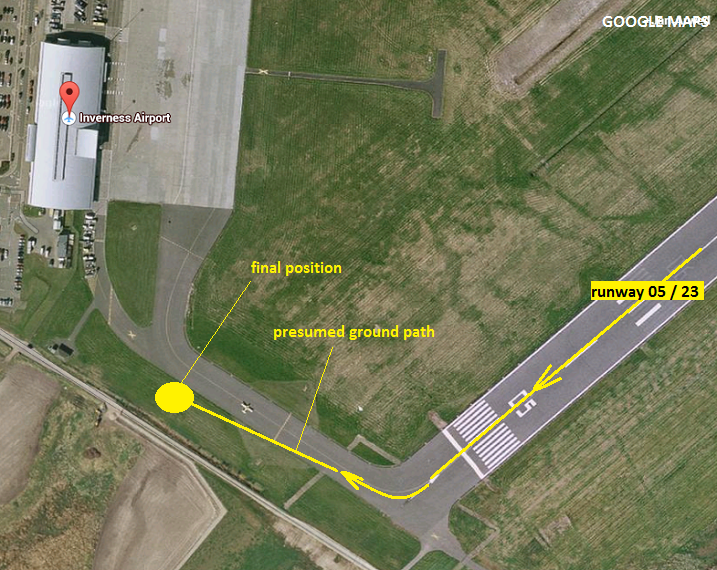 The airport was forced to close for larger traffic until the blocked taxiway was opened again around 14:00. The aircraft in question was not damaged and departed back to Manchester at 14:40L.